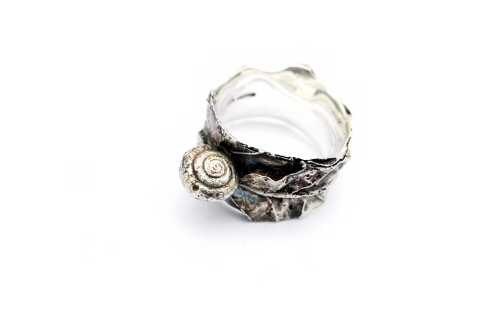 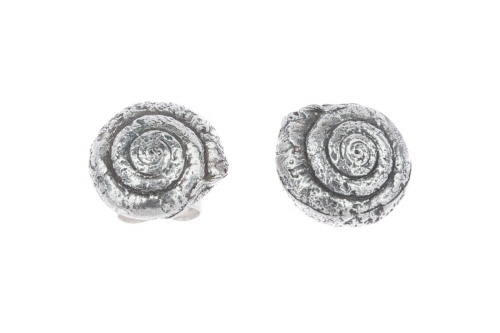 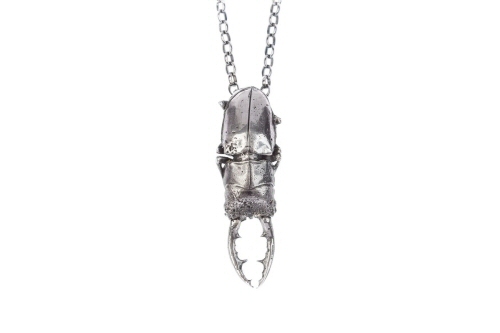 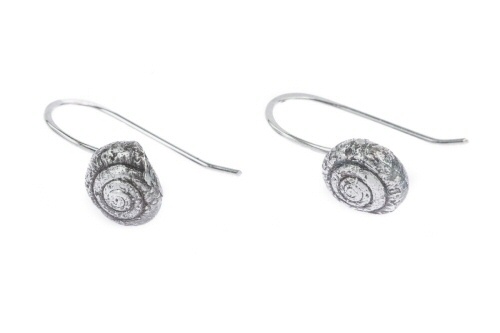 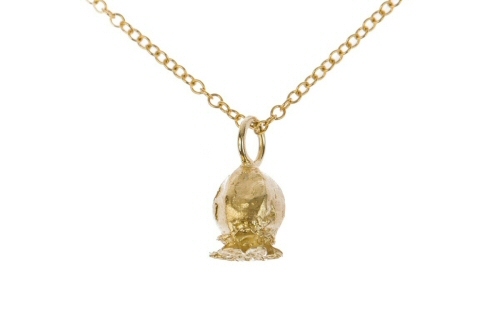 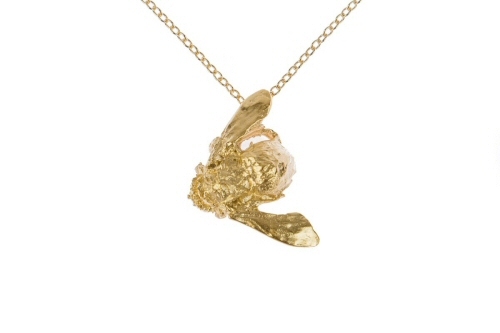 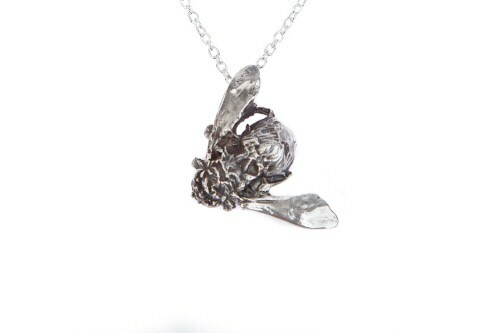 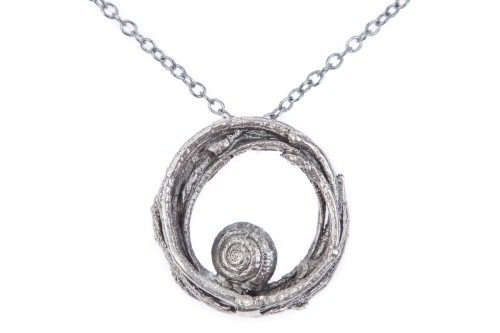 Fragile garden snail shells, have been collected and cast from life into solid silver. 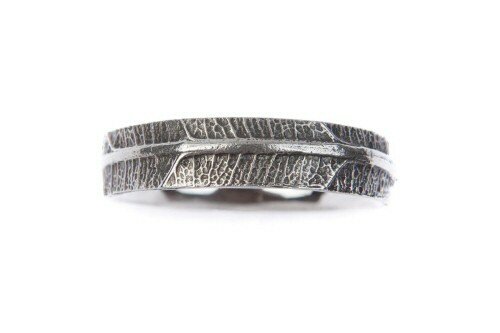 The silver has been darkened slightly before a final polish to highlight the finest textures from the original natural forms. 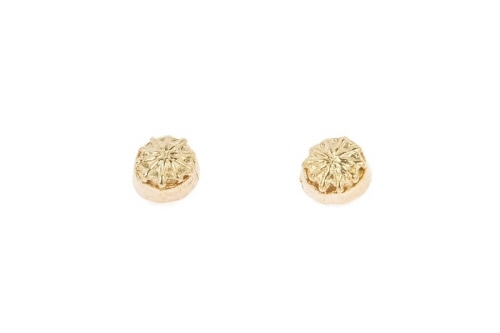 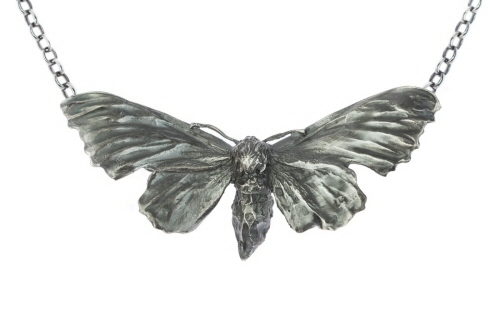 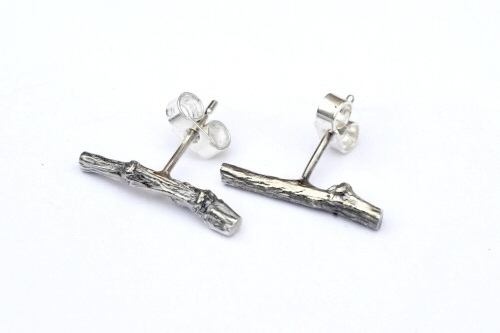 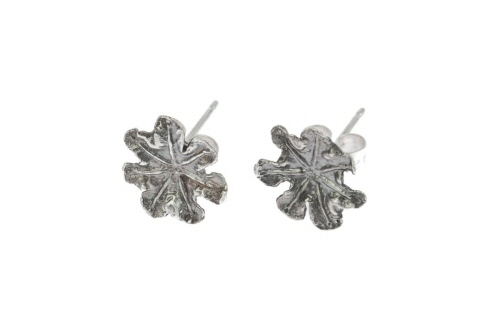 The studs are 1 cm in diameter, with a butterfly back, perfect for everyday wear. 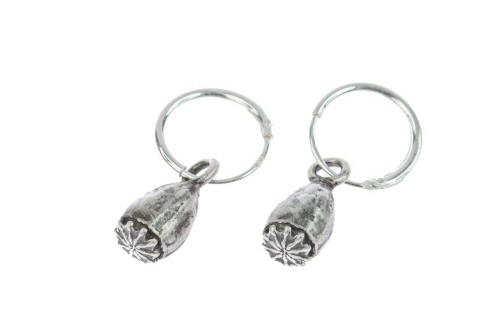 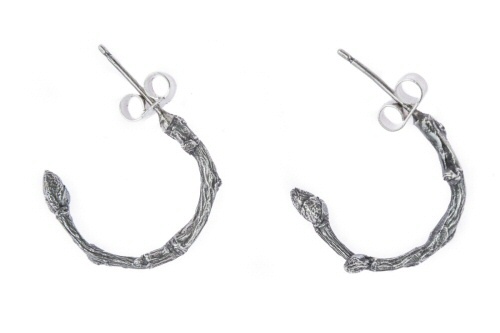 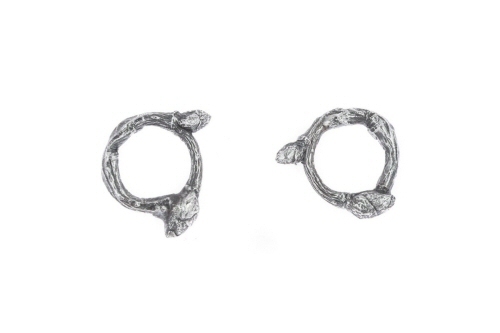 Field poppy drop hoop earrings. 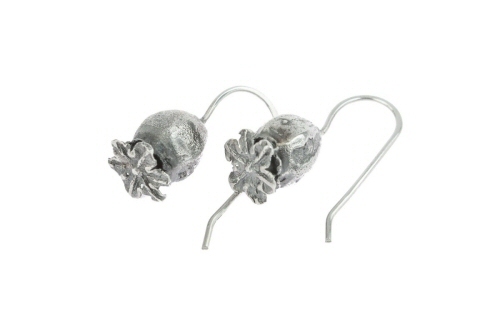 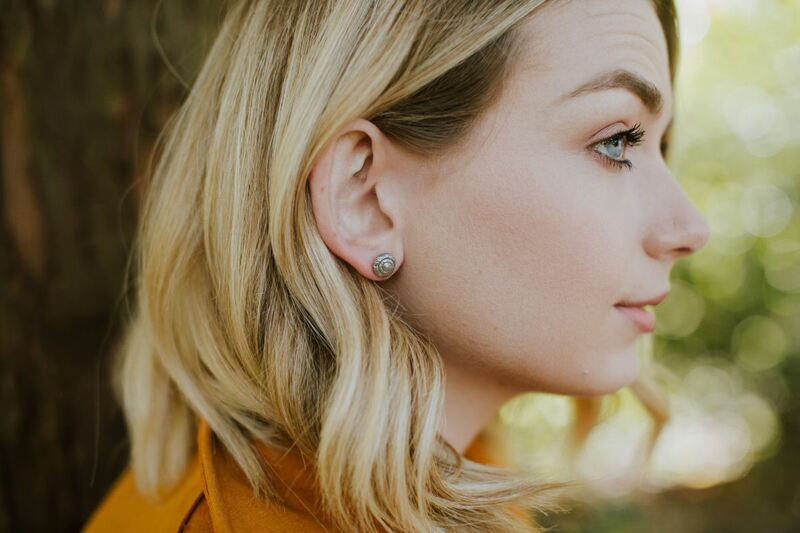 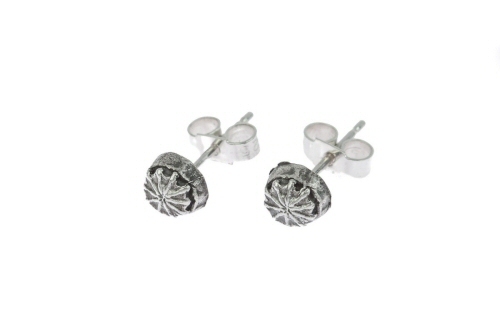 Poppy seed head stud earrings. 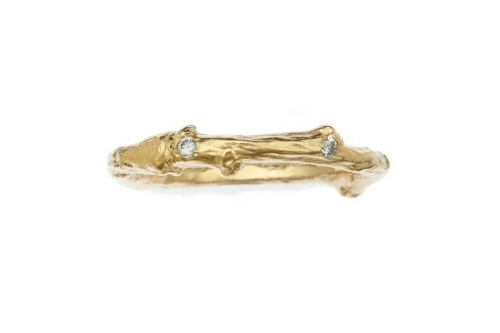 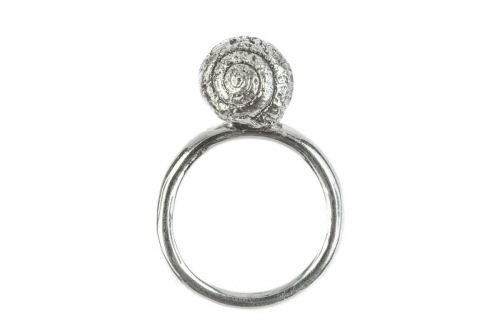 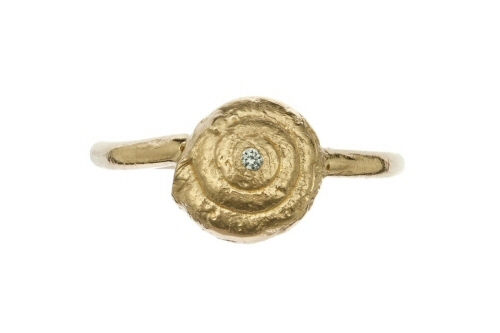 English garden snail and diamond ring.